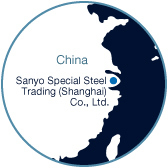 ﻿ Support capabilities for international business | Core Competence | Yohkoh Bussan Co., Ltd.
■Sanyo Special Steel Trading (Shanghai) Co., Ltd.
With an office on hongqiao district which is easily accessible，Sanyo Special Steel Trading(Shanghai)Co.,Ltd. 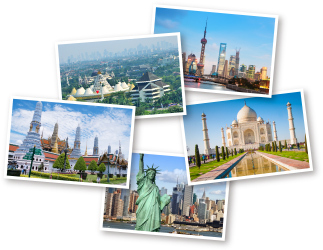 is responding to rising demand for various special steel products from across China. 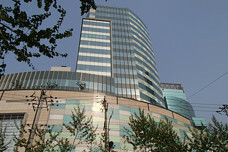 ■SKJ Metal Industries Co., Ltd. 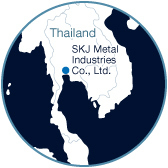 Situated 40km from Bangkok in the Bangpoo Industrial Estate, SKJ Metal Industries Co., Ltd. supports the various needs of Japanese companies expanding in Thailand. 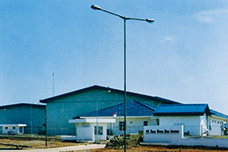 Located in the MM2100 Industrial Town on the outskirts of the capital of Jakarta, P.T. 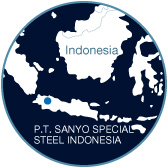 SANYO SPECIAL STEEL INDONESIA is responding to rising demand for special steel buoyed by the Indonesia's strong economic growth. 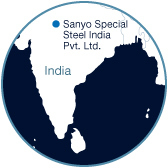 ■Sanyo Special Steel India Pvt. 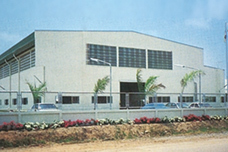 Ltd.
Sanyo Special Steel India Pvt. 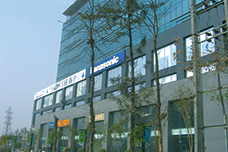 Ltd. has an office in Gurgaon, immediately southwest of Delhi, where it responds to the needs of major steel users in India's fast growing special steel market. 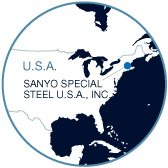 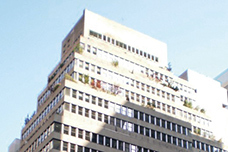 ■SANYO SPECIAL STEEL U.S.A., INC.
With an office on Park Avenue, SANYO SPECIAL STEEL U.S.A., INC. provides a wide range of services to major steel users in North America.